As a nurse for more than eight years at Mayo Clinic’s Rochester campus, Jacklyn Traurig knew firsthand the value of the organization’s team approach to health care. 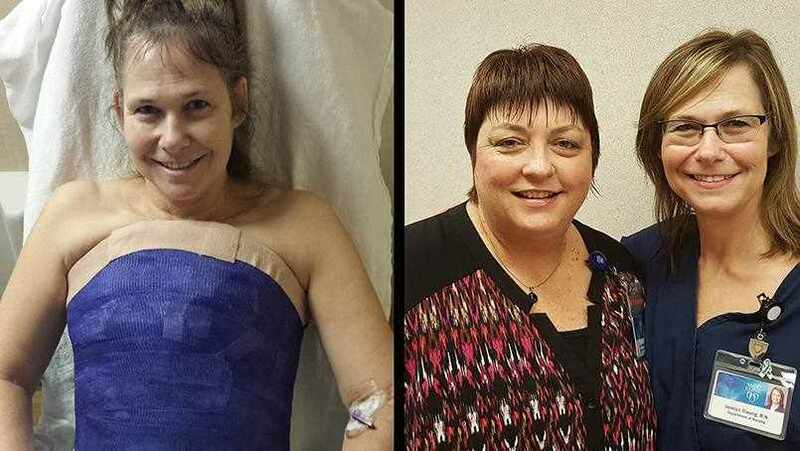 But although Jackie was practiced at providing quality care, she didn’t truly see just how exceptional Mayo Clinic’s style was until she found herself in back-to-back medical crises. A fall on the stairs landed Jackie in the Emergency Department with a broken back. Then, while still healing from the first event, Jackie fell again. This time, she slipped in a stairwell and suffered a concussion and broken collarbone. A CT scan following that fall revealed a brain tumor. Despite all this, Jackie looks for the good in her experiences. “The whole thing has been a blessing. It really has,” Jackie says. “There is nowhere in the world other than Mayo I would want to be treated. It makes me value being a nurse and being able to be a positive influence on other people’s lives. Seriously, the pride I have in Mayo has tenfold improved. It’s remarkable.” Read the rest of Jacklyn's story.